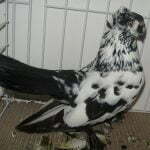 The German Magpie Cropper Pigeons– also known by names: Boulant Pie, Elsterkröpfer, Gozzuto Pica, Немецкий сорочий дутыш – are varieties originating from Germany, in particular as pets in Bohemia, which later extends to Silesia, Saxony and Saxony Anhalt , and is expected to be developed from early to mid-19th century. 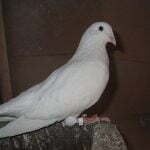 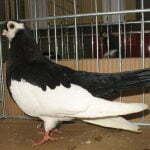 Varieties belonging to this type of pigeons Pouter – cropper, are now very popular, and have been bred in various countries, including Poland, Denmark, Austria, Netherlands, Scotland, Francis, the United States and Australia. 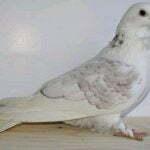 Although these varieties are informed it can fly well, but since its inception its development has been fully devoted to the show.